A new type of methane-based, oxygen-free life form that can metabolize and reproduce similar to life on Earth has been modeled by a team of Cornell University researchers. 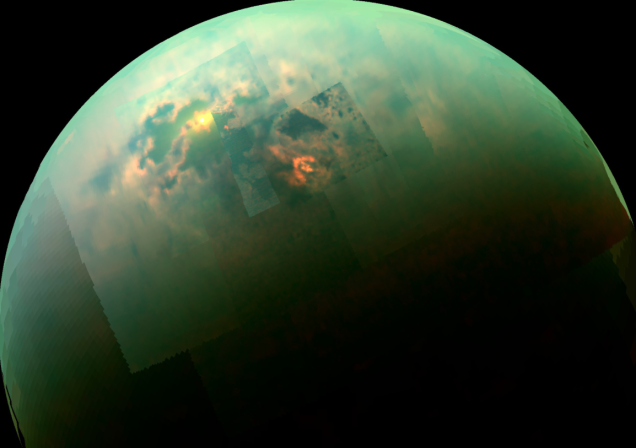 Taking a simultaneously imaginative and rigidly scientific view, chemical engineers and astronomers offer a template for life that could thrive in a harsh, cold world – specifically Titan, the giant moon of Saturn. 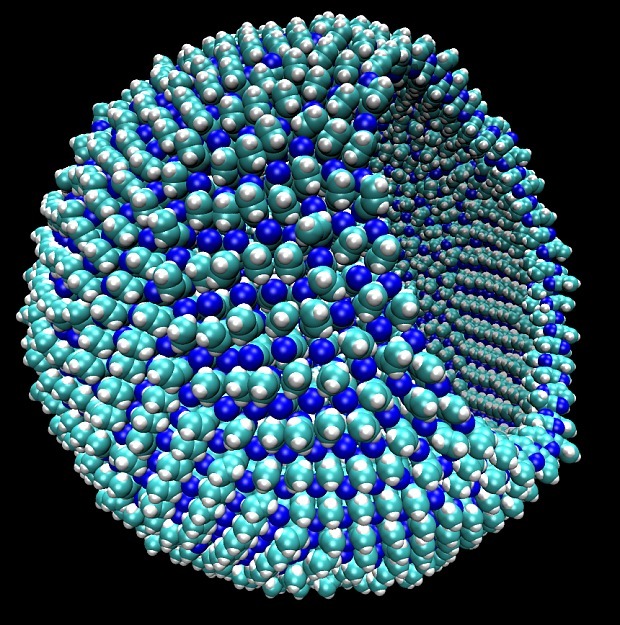 A planetary body awash with seas not of water, but of liquid methane, Titan could harbor methane-based, oxygen-free cells. Their theorized cell membrane, composed of small organic nitrogen compounds and capable of functioning in liquid methane temperatures of 292 degrees below zero, is published in Science Advances, Feb. 27. The work is led by chemical molecular dynamics expert Paulette Clancy and first author James Stevenson, a graduate student in chemical engineering. The paper’s co-author is Jonathan Lunine, director for Cornell’s Center for Radiophysics and Space Research. The engineers employed a molecular dynamics method that screened for candidate compounds from methane for self-assembly into membrane-like structures. The most promising compound they found is an acrylonitrile azotosome, which showed good stability, a strong barrier to decomposition, and a flexibility similar to that of phospholipid membranes on Earth. Acrylonitrile – a colorless, poisonous, liquid organic compound used in the manufacture of acrylic fibers, resins and thermoplastics – is present in Titan’s atmosphere. Can strong foresight orientation make a nation successful?